Driftwood gray with whitewash inner edge. This rustic picture frame has a history. 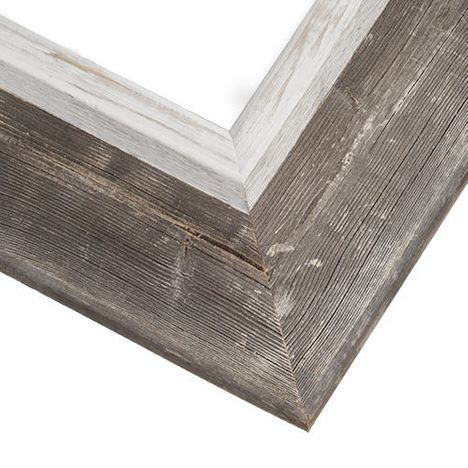 Made with reclaimed barnwood and fence board from right here in the USA, one of our most eco-friendly collection. Its perfectly weathered gray finish and classic, gallery-ready profile make this a great choice for all kinds of art and photography. Naturally weathered finishes will vary — and random nail holes add personality. Choose frame size. Shipping is $16 for US customers only.